Styled with lincoln pant . 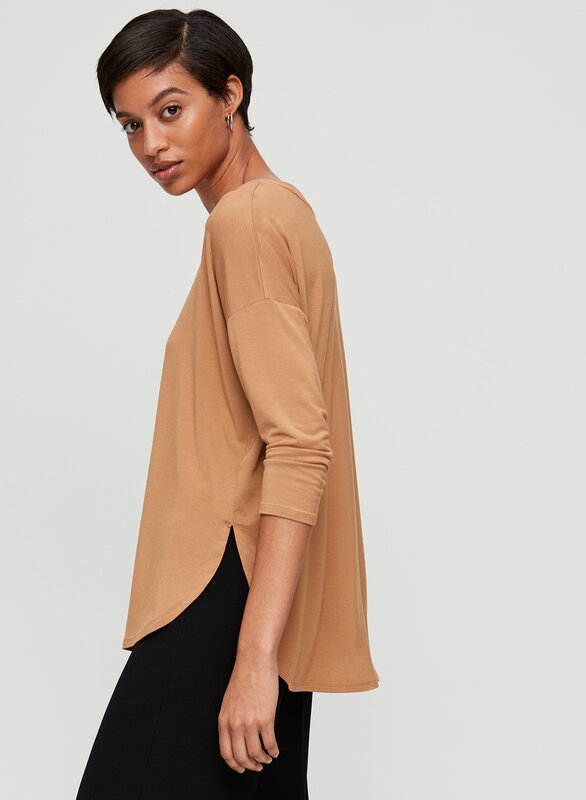 This long-sleeve shirt has a boxy silhouette and a flattering, softly shaped hem. It's made with smooth fabric that has a little stretch and beautiful drape. I love these tops. The fabric is so nice and the cut is great. I wear these a lot for my work in a business casual office setting and can easily pair them with a cute neckalace or scarf. I find they fit true to size. Love these and wear them all the time!! Beautiful vibrant color (got the blue one) and very comfortable. Great top! Absolutely love it! 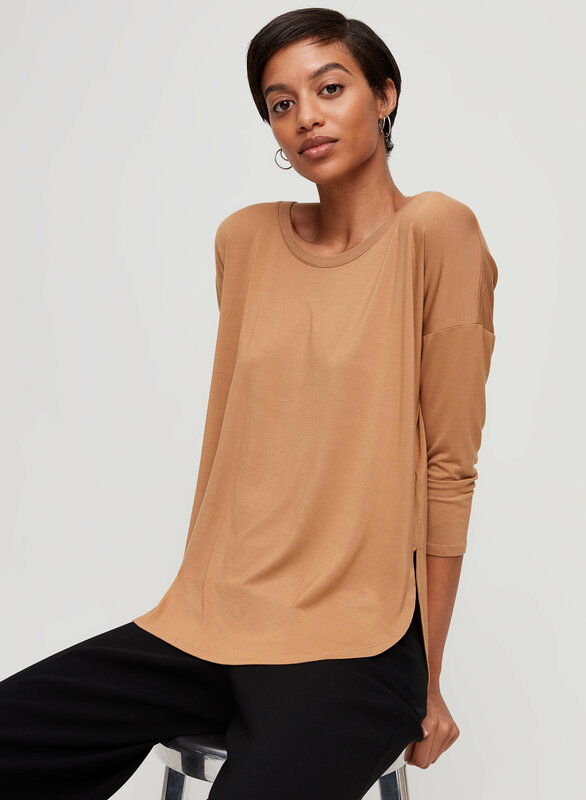 I loved this top so much that I bought it in three different colours! I absolutely LOVE IT!!! i love this tee! it's fitted through the arms for a classy look but not too tight on the tummy. the fabric is lovely and the rounded cut of the bottom is super flattering. Love this shirt! Bough it in several colours and they’re all awesome. 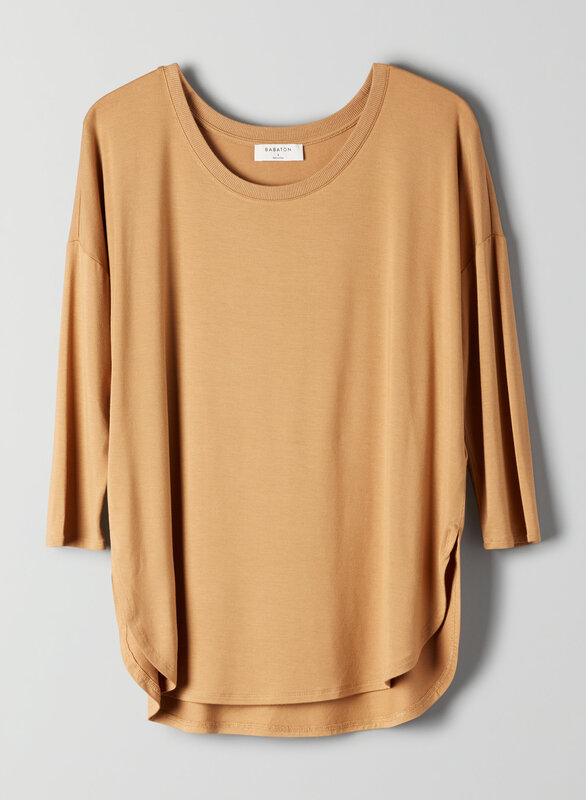 Super soft, comfortable, and can wear dressed up or down. This T-shirt is something I wear all the time to work. Fits great! The Norris T shirt is my favourite Aritzia T shirt hands down. 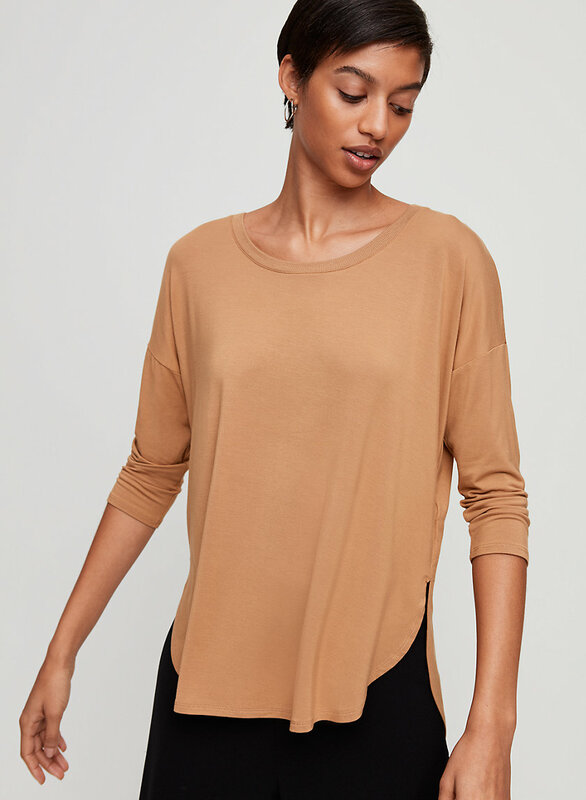 I love the cut around the neck, the hem design, and the sleeve length. I layer it with everything all year around. It washes and dries well and keeps its shape. I love some of the softer pastel colours that it's offered in. These and even white are not too sheer in this style. Highly recommend. I'm 5 ft. 11 in and 133 pounds and size medium is perfect.